Women Are Better Off Doing It For Themselves! I have some shocking news for you, sit down. If women co-author something with men they will get less recognition than the man they co author with. Shocking, I know; but I guess you’re not really surprised. Women get less credit generally and have to work harder to make their voices heard. We also know the levels of unconscious bias are high within us all and that it’s not just men that downplay the achievements of women. 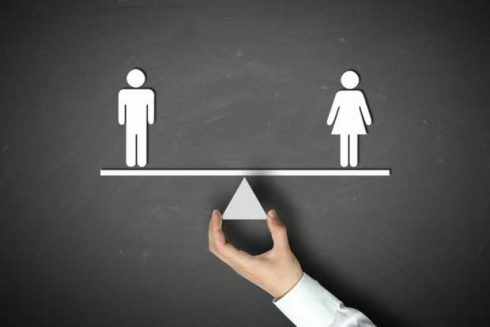 This interesting piece of gender bias was highlighted by a doctoral student at Harvard University, Heather Sarsons. She took a long hard look at how credit was given in the world of academia by studying how that impacted on careers. She looked at all economics professors who came up for tenure between 1985 and 2014 at 30 top universities, all places that stress tenure candidates’ research credentials. She considered various factors to control for paper and journal quality through such measures as citation indexes. Men and women who are solo authors of most of their papers have similar rates of tenure, when factoring in measures of paper quality. When men co-author papers, each paper is associated with an increase of 8 per cent in the odds of the man earning tenure. However, when women co-author papers, each paper is associated with only a 2 per cent increase in the odds of earning tenure. 6% less. Somewhat cheeringly, when women work together on a paper the positive effect is similar as to that given to men. It’s only when women work with men that they get penalised and the man’s contribution seems to be held in higher esteem. Heather argues that the subject is important because women are less likely than men to be tenured in economics departments, and dual authorship is a common practice for faculty members. Further, the convention in economics is for authors to be listed alphabetically, so there is no indication from the papers themselves whether the first or subsequent author or authors contributed more or less than others did. But It’s Better in UK? At nearly two-thirds (132 out of 203) of the English further education colleges that provided data to *UCU, male lecturers are paid on average £1,000 more than women. Kirklees College in Yorkshire topped the chart of English colleges, paying female lecturers an average £5,959 less than their male colleagues – a pay gap of 19.3%. In the ten worst offending colleges, the pay gap between the average pay for women and men is greater than 8%. The higher education institution with the largest gender pay gap amongst academic staff was the University of Leicester, where women earn £9,793 less than men. Challenge it. Information is power. The gender pay regulations which comes into force this April 2017, will go along way to establishing just where the inequalities lie. Heather herself has drawn attention to it by a) doing her research and b) using this phrase at the end of papers she has written herself: “This paper is intentionally solo authored.” Take credit for what you do and make sure the relevant people know about your contribution. We just can’t assume that fairness will apply because it doesn’t. Women’s contributions are undervalued, women’s voices are not heard with the same authority that men’s are…yet. Speak Up! If you are a coach or trainer with an interest in women’s personal development, please do check out our licensing scheme. I am grateful to the Times Higher education supplement for the image and for printing the original article which you can find here.